QR codes were first invented in 1994 by the Denso Wave company to track their manufacturing process for vehicles. That’s all there was to QR codes. Just like NFC and RFID, tracking items was what QR codes were primarily used for. QR (Quick Response) codes are scannable barcodes that direct users to a website or to take a specific course of action. QR codes did start getting popular in 2011 when Macy’s and Best Buy started implementing them in their stores. But there were problems galore with mass end-user adoption. Most consumers had terribly slow speed internet, did not own a smartphone and even when they did, they had to download an app that took forever to scan a QR code. The websites the QR codes redirected users to weren’t optimized for smartphones making the whole situation worse. But, all of that has changed. And as WIRED astutely observed, QR codes were ‘just ahead of their time’. QR codes are being used by millions now. 2.71 billion people are using smartphones in 2019 and 90% of the population is estimated to have access to high-speed internet by 2020. Coupled with the fact that Apple’s iOS 11 update added QR code scanning capability in the camera app along with the latest Android smartphones being able to do the same, QR codes have become an integral part of everyday life. QR codes are ubiquitous. From the scan and go technology being used at retail stores determined to stay afloat in the post-apocalyptic retail landscape to using QR codes as a way to propel post-purchase customer engagement, businesses and brands have come to realize just how powerful QR codes are as a weapon in their marketing arsenal. Since scanning QR codes do not require downloading an additional app, marketers and brands intrigued by the idea of running proximity marketing campaigns without an app can turn to QR codes. Although the term proximity marketing has ‘marketing’ in it, businesses must adopt a customer-centric approach. Improving in-store customer experience through QR codes must be a priority. By curating a unique shopping experience for shoppers, stores can start attracting and engaging with more customers. Possibly, the most important thing to point out here is that stores can do a lot with QR codes. From redirecting customers to their social media page or asking them to leave a review on Yelp, there is no dearth of actions that a store can gently nudge their customers towards. Send a preset text message to a predetermined recipient. Draft a complete mail with subject and recipient for the user to hit send. Armed with that information, businesses can implement their own unique use cases. It is common knowledge that the way we consume content has experienced a seismic shift in the last decade. Reading something only invokes 10% memory retention whereas watching video helps viewers retain 95% of the core message. That is precisely why businesses should employ QR codes to show off the stellar features of a product or display an advertisement to garner a shopper’s attention. 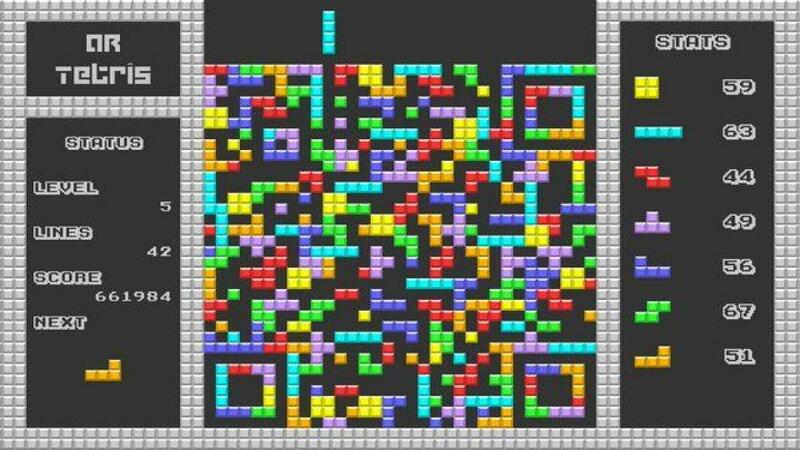 With the rampant increase in hyper-casual games that do not require intensive brain power, marketers can push such games through QR codes to shoppers with lucrative incentives like a discount or winning freebies thus increasing the conversion rates. This can also be used as a compelling way to engage with customers walking by advertising a ‘Scan and Win’ poster outside the store. Adding QR codes to post-purchase packaging that allow customers to scan and re-fill or re-order the product from the businesses’ online store can do wonders for customer retention rates. By utilizing geolocation in tandem with QR code, the same code can display different information based on a customer’s location. For instance, if a QR code on the product in the store displays product information, the same code can be used to get them to re-order the product once they leave the store. This is akin to the Amazon Dash buttons which were essentially Bluetooth tags that allowed customers to shop for more of the same product and have it home-delivered. 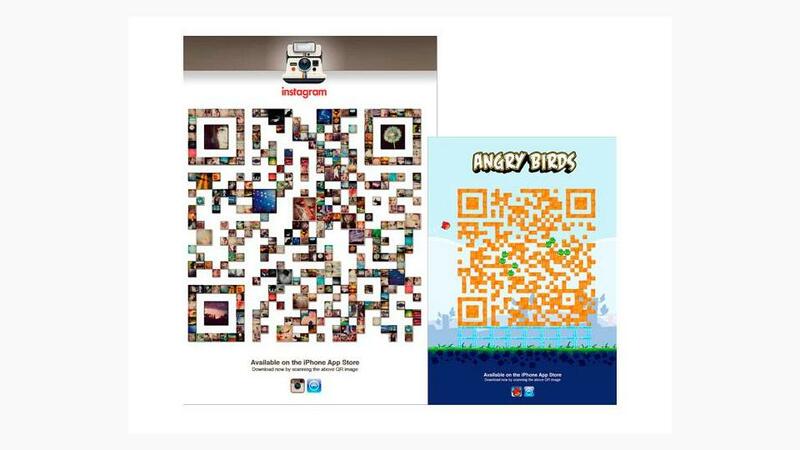 Instagram and Angry Birds used creative QR codes to get customers to download their app. These codes unambiguously conveyed their unique brand voice and served a dual purpose. One was obviously to get new customers to download their app and the other was to establish their brand by inducing brand familiarity through the QR code advertisement. While proximity marketing without an app is definitely enticing, having your brand’s app installed in your customer’s phone allows you to gain a deeper insight into your customer’s shopping history and makes way for you to serve them with personalized product recommendations. A beacon-aware app at that can pave the way for contextualized information. It also allows shoppers to assume a more passive role and enjoy the shopping experience even more as beacon-enabled apps can deliver notifications without human intervention. According to researchers, stores use everything from lights to displays to get customers to spend more. So, what about music? Research suggests that stores use classical music as a way to simulate a more upscale environment to justify amped up product prices. But, what if you could curate a truly unique shopping experience for customers that entered your store? With QR codes, you can. Reebok used codes to send athletes to different carefully curated Spotify playlists based on their sport and you can do the same. By allowing customers to choose between different genres, artists and even languages by scanning a corresponding QR code, businesses can boost their ROI significantly. What is deemed as boring may be subjective but QR codes can definitely make for an interactive experience when used at museums, libraries, and parks. Instead of having a human guide, QR codes can act as a guide for museum-goers who want to appreciate art in silence. The New Delhi Municipal Council (NDMC) has plans of deploying QR codes in the Lodhi Garden which when scanned will give visitors details such as its common name, botanical name, lifespan and the age of the trees. Reviews are the bane of the continued existence of businesses. 90% of shoppers read online reviews religiously before they make up their mind to give a place their business and 88% of consumers treat reviews in the same regard as personal recommendations. By getting customers to leave reviews on social media, your business not only gives them a place to voice their opinion but it also helps future customers make up their mind about visiting your store. Instead of having dissatisfied customers vent on Twitter where you have absolutely no control over it, by gently nudging shoppers without any human intervention whatsoever, you can give your customers a platform that you can oversee. QR codes are a much better and quicker way to get customers to review your store or products than asking them to do so at checkout. If needed, you can also offer an accompanying discount for every positive review. The effectiveness of OOH advertising is undeniable. In fact, 71% of consumers report that digital billboards are far more appealing to them than online ads. Pairing digital billboards with QR codes can drive consumers to take immediate action such as call the business or use Google maps to visit the store. QR codes and OOH advertising can also serve as the foundation for a long and drawn out treasure hunt like the one X Collective (XCO) in partnership with Sqkii has designed for citizens of Singapore. $100,000 Singaporean dollars await the winner who is able to find all the clues scattered across MRT stations and trains on OOH ads. This #HuntTheMouse campaign gets participants to scan QR codes through the XCO app. If these unique QR code use cases didn’t inspire you, then these brands that have successfully implemented QR codes definitely will. Porsche launched an immersive experience during the 2018 Digital Signage Expo that allowed attendees to customize the 2019 Porsche Cayenne Turbo and interact with the model through haptic cues. All of this was made possible by merely scanning a QR code. In the myriad of technology that Amazon Go stores employ, QR codes are also one of them. Customers can use QR codes to come and checkout without waiting for a cashier. Similar to Snapcodes, Instagram has launched a feature known as Nametags that can be fully customized by users and can be scanned by using the camera within the app by other users to follow accounts. This also works well when it comes to cross-platform platform. Business can insert their Nametag on other social media profiles to increase their follower count. During the 4 day event held in San Diego, attendees were allowed to validate their parking using QR codes. As discussed earlier, QR codes can be used to authenticate products. A cycle rental app uses QR codes to allow users to unlock the cycles via the PEDL app and then lock it at the end of their trip. Netflix jumped on the QR code bandwagon when they needed to get the word out there about the Gilmore Girls reboot by printing Snap codes on 10,000 coffee cups that led to a million views on Gilmore Girls inspired photo filters. A millennial’s desire for instant gratification can be met with QR codes. QR codes can also solve another major problem faced by brands – product packaging. With 7 in 10 shoppers saying that the design of a product’s packaging drives their decision to purchase a product, making sure the packaging isn’t riddled with product features and specifications that can take away from the design can be quite a tall order. That is where QR codes come into the picture. While some brands opt to go the AR route, QR codes are a cost-effective way to give consumers, especially millennials, what they want. By including QR codes on packaging, companies can do away with the labeling while allowing the customer to scan the code to still view all the features and perhaps even discover new products from the same brand. Are QR codes still relevant in 2019? Just like NFC, the market for QR codes is blooming. But, marketers and businesses must keep in mind that just deploying a QR code isn’t enough. The site or content must be optimized for mobile. QR codes also let marketers the ability to view how many people engage with the product offering a chance to tailor their marketing strategies. Instead of investing in static QR codes, the market is also slowly shifting to dynamic QR codes that can be re-used as the redirect URL or specific action can be changed as per the businesses’ needs. QR codes can also be used in tandem with BLE beacons, NFC to allow for a more comprehensive solution targeting all the potential and loyal customers of a business. Want to run proximity marketing campaigns with QR? Get in touch with our proximity marketing expert at Beaconstac to help build your use-case without a developer’s help.